Those who tuned into today’s Hugh Hewitt Show received some shocking Benghazi and Syria news from House Intelligence Committee Chairman Mike Rogers; there is no taped record of the late night 9/11/12 conference call between Gregory Hicks in Tripoli and former Secretary of State Hillary Clinton. If that wasn’t enough listeners learned that Hezbollah may have acquired some of Assad’s chemical weapons. One would think that phone calls to the Secretary of State from an overseas embassy would be taped as part of the normal course of doing business. During the Reagan administration everything was taped except when a direct order not to record was given. Four months ago, Gregory Hicks deputy chief of mission at the U.S. Embassy in Libya testified before Congress that at at 2 a.m. Tripoli time on the evening of 9/11/12 he spoke with Secretary of State Hillary Clinton her senior staff. According to Hicks he briefed Clinton on what was happening on the ground in Benghazi and that in the course of his call no one mentioned the Mohammed internet video and the the ongoing attack was discussed as an act of terror. 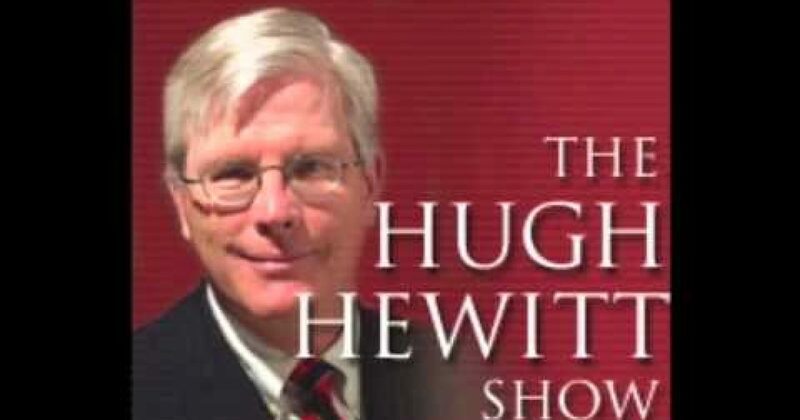 Most people assumed the Hicks/Clinton phone call was taped, but today during the Hugh Hewitt show we learned–probably not! Which means we may never learn the truth about what happened in Benghazi a year ago. Hewitt: Let’s start with the year anniversary of Benghazi, if we can. Have we got any idea whether or not Secretary of State Clinton’s phone call to Greg Hicks that night is recorded somewhere in the archives of the NSA? Rep. Rogers: You know, we’ve been having some difficult…the biggest difficulty in the investigation has all happened in the State Department. They’ve been slow and non-responsive, so my lean has been the intelligence side. So all the CIA folks and everybody that falls into that category, they’ve been fairly cooperative. They had some things that happened recently that sent me into orbit, but we have not been able to link it directly between the two, nor the conversations themselves. So where we’re at on that is most of the lower level folks have been talked to, and they’re working their way up the chain still on trying to put the whole picture together. Hewitt: But very specifically on foreign communications, or communications outside the country, when I was in the government and doing that stuff, we knew that everything we said was recorded if it was going abroad. So I assume, and I would assume you assume that NSA has a tape of that particular phone call, right? Rep. Rogers: Well, to our knowledge, that call was not recorded. Now that doesn’t mean that we didn’t miss something, and that’s why we’re still going back and trying to scrub systems to make that determination. Rep. Rogers: Not necessarily, because not every communication, and sometimes, the way they communicate is not recorded. There is, I’m not sure when you were in, but the way we communicate has changed dramatically, even in the last few years. Hewitt: Okay, this was the 80s in the Reagan administration. Rep. Rogers: So some of the real time quick conversations are not recorded. In the context of the entire interview…that was the GOOD News. Hewitt: Okay, well, that’s, I would wonder if Chairman Issa, who’s got the subpoena power, has dropped one. I’ll ask him that. Let me go to what we don’t know, yet, about the attack of a year ago. We don’t know who perpetrated it, we don’t know why Ambassador Stevens was there. And I had a question raised today, I told people I was going to talk with the chairman of the House Intelligence Committee today, and the first question was are the people who did Benghazi in any way connected with the people who are warring with Assad, because some of the opposition to taking stern measures to Assad came from a fear that we were empowering jihadists and Islamists of the same variety as attacked our mission in Benghazi. Rep. Rogers:Yeah, and there’s, I think these are two different issues. So what we saw of the folks who did it, and I argued, and if you recall, was the first one out of the box on the same show as Susan Rice saying hey, wait a minute, this was a terrorist attack, these folks came, a lot came from Tunisia, that whole region was in flux. It was starting to be an area that attracted jihadists elements and different factions who were showing up. So it was a little bit of a combination of several of them. I think we’ve identified a good number. Of course, my problem is that they’re still taking nourishment. They’re still breathing the air. So we kind of know who they are, and we’ve been putting a lot of pressure on the administration to have the courage to go and do something about that. They haven’t. It’s been a year. That, to me, is unconscionable. But we know kind of who they are. So what you’re seeing in Syria is a little different. Up in the eastern side, along the Iraqi border, there is a pooling of jihadists, and they are attracted to two groups in particular. One is called al Nusra Front, which is a front organization for al Qaeda, the main driving force is al Qaeda in Iraq. They’re the biggest feeder of people into that organization. The scary part about that, it’s about 10,000 people. That’s huge. We’ve never seen that kind of pooling of al Qaeda elements. But they have a different take now. So what they want to do is cut out a piece of land along the eastern Syrian-Iraqi border, and use that as a safe haven for operations, including, by the way, Hugh, which doesn’t get a lot of coverage, about the very possibility that they might launch external operations. So this is, that is dangerous and becoming worse. And so you have secular oppositionists there who number in the tens of thousands. Then, you have these other groups, and there’s another group called al Sham. We think it is probably a thousand, maybe less, that is also attaching themselves to these secular units. So it’s not as easy to say that all of these folks are al Qaeda. I have completely disagreed when somebody tried to say well, we’re just helping al Qaeda if we do X or Y. I just, I don’t think, none of the facts on the ground support that. But what I believe we need to do is try to find those other opposition groups, because I do believe they’re going to be in charge one day, and try to find some inroads so we can use them to protect both the chemical stockpiles and the conventional stockpiles. It’s all a little bit different, but the world is sending jihadists to Syria, and some could be, and I would argue are likely to come from Libya. Hewitt: I am talking with the chairman of the House Intelligence Committee, Michael Rogers. Now Mr. Chairman, the President said an extraordinary thing last night. He embraced, at least rhetorically, the Bush doctrine, when he said weapons of mass destruction could fall into the hands of terrorists and used directly against the United States. You just referenced a similar sort of concern. Does the intelligence demonstrate any planning or evidence that jihadists in Syria, or the Assad regime, are intending to do that? Rep. Rogers: Not from the Assad regime. We do get it from al Qaeda. And they have expressed an interest in getting their hands on it. And that tends to be what they say aspirational, so we know that they want to do it. We haven’t seen that they’ve figured out a way to do it. And same with Hezbollah, that’s the other group that has expressed interest in getting their hands on chemical weapons. And remember what these weapons were designed for. They were designed and purchased and put into place in Syria as a counter to Israel. They were designed to fly into Israel and launch. That’s why the Israelis are always so upset about where these things are and what’s going on with these weapons systems. And so now you have the changing of the battlefield where in the beginning, the secularists took some of the area along the Turkish border, and so they were moving these stockpiles, and that’s when people like me started getting very nervous, because we were losing acuity about where they were. And it makes it, you know, obviously a more dangerous by the day, so if Assad just fell apart tomorrow, candidly, we have a huge problem, because now you have chaos, and you have everybody, two different groups, a Shia terrorist group and a Sunni terrorist group all fighting to try to get their hands on these terrorist weapons. Huge concerns. Hewitt: Yesterday, there were reports that Hezbollah had in fact taken advantage of the chaos of the last couple of weeks to get their hands on some of these. Now those were not circulating in the official news, but behind the scenes. Have you seen those? And do you believed that happened? Israel struck four times thus far. Did something slip through in the chaos of the last couple of weeks? Rep. Rogers:You know, it’s really hard to determine for sure and for certain. I would say now I have a low level of confidence that they’ve gotten their hands on it. The problem is they are in the best position to do it, because they’re linked with the Assad regime. Hewitt: Does that mean you don’t think there’s a very good chance that they’ve got them? Rep. Rogers: Well, you know, you can’t say that. I just, we just, everything I’ve reviewed thus far, I just don’t, I can’t come to the conclusion that they have it. I know they want it. I know that you know, when you’re a cornered dog, and you can imagine…I would imagine what’s happening, and what is not out of the pale, I don’t want people to leave this program and go oh, my God, the Assad regime is giving it to Hezbollah, but you can imagine that they are now going through the process of denial and deception, they being the Assad regime, and using their allies, the Russians, Hezbollah, that are actually there and spilling their blood in the fight, to move material. You see..very often when a government official “can’t say no” about something it usually means yes. Understand that if Hezbollah has acquired the chemical weapons from Syria they would be a threat to the United States as well as Israel. Hezbollah as developed a network which resides in Mexico as well as South America. That southern border of the US is not very secure creating the opportunity for chemical weapon components to be smuggled into this country and “mixed/assembled” here.